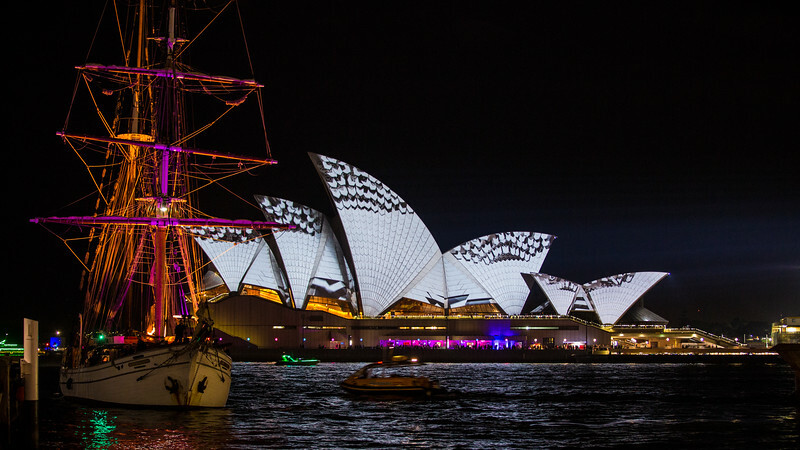 Photos from 2014's Vivid festival in Sydney, Australia. While this shot turned out ok, the ship ended up parking (mooring? anchoring?) right in centre of frame. Was time to move anyway!